So it has been a while since I posted. One of the many things I have been doing in.my absence is spending time volunteering with my children's Boy Scout Troop. 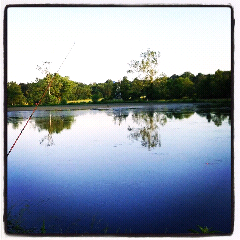 This year we were graciously invited back to Gladstone Farm to fish on there two farm ponds for bass and bluegill. It was a huge success with about 15 to 20 scouts showing up with siblings and parents. 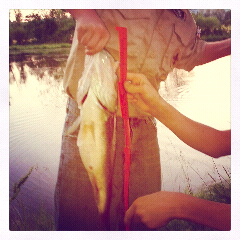 Three boys managed to catch some 12+ inch bass while the rest reeled in bluegill one after another. The one pictured below measured 17 inches. But the main point if all of this was to take scouts outside to enjoy what God has to offer. It just happens that this time we went fishing. I was honestly shocked to hear some of the youth say they had never been fishing before that night.